Once again, Ruthie is the winner of The Blues Foundation's 'Koko Taylor Award' for Traditional Blues Female Artist! This is Ruthie's seventh Blues Foundation award, several of which have been the Koko Taylor Award. For more info, click here, or on the picture above. Ruthie has been awarded a fellowship via US Artists, recognizing her for her contribution to the field of music. Fellowships are $50,000 unrestricted awards which allow them to decide how to best support their lives. Read more about the fellowship by clicking here. The 2018 International Folk Music Awards show at the Folly Theater, presented in partnership with Folk Music Canada, featured Ruthie as a host, along with performances and appearances from John Oates, Guy Davis, Giri and Uma Peters, and The Kingston Trio. The Chris Stapleton cover can be found on Ruthie's new album Joy Comes Back. 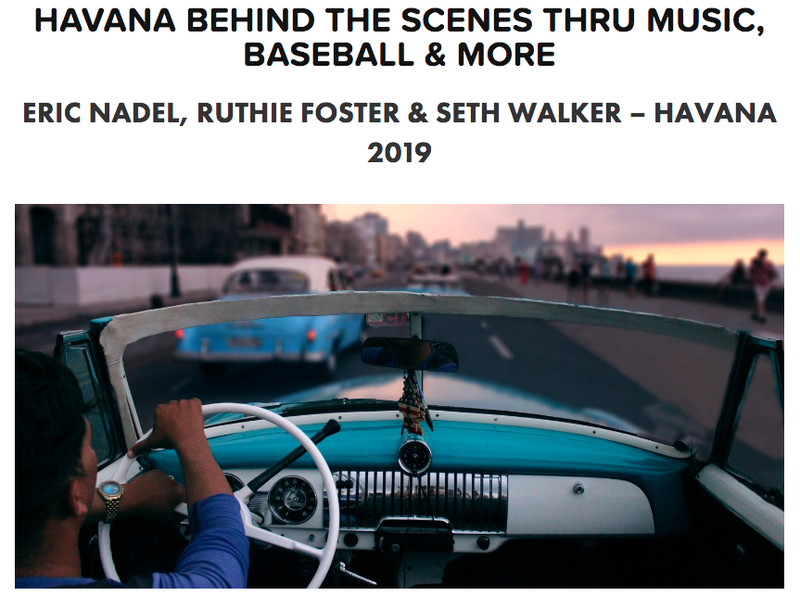 Ruthie Foster and Seth Walker invite you to accompany them on their historic, first visit to Cuba, with Texas Rangers Hall of Fame radio announcer Eric Nadel as your guide. Join these great young American musicians for a landmark meeting between the people of Havana and this quintessential American blues tradition! Click the photo above to learn more. 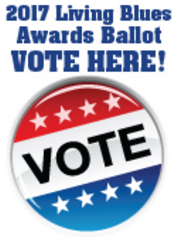 Ruthie Nominated for Blues Music Award for 6th Year In A Row! Ruthie has been nominated for the Koko Taylor Award for Best Traditional Female Blues Artist. This will be her sixth consecutive blues award nomination. 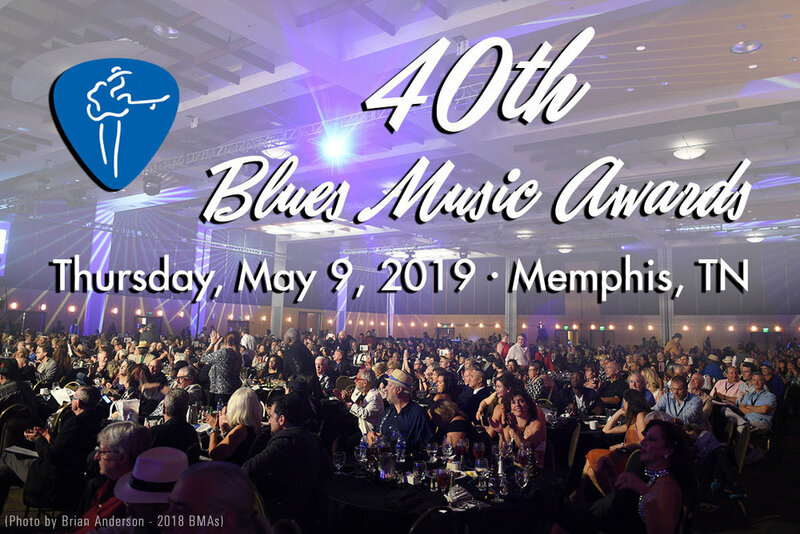 To see all of the nominees for the 37th Annual Blues Music Awards click here. 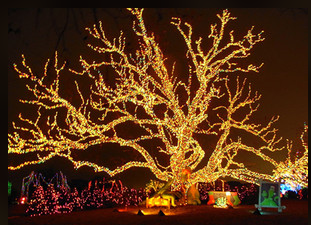 Ruthie took the time to curate a playlist with all of her favorite holiday tunes. Click the photo above to take a listen on Spotify! 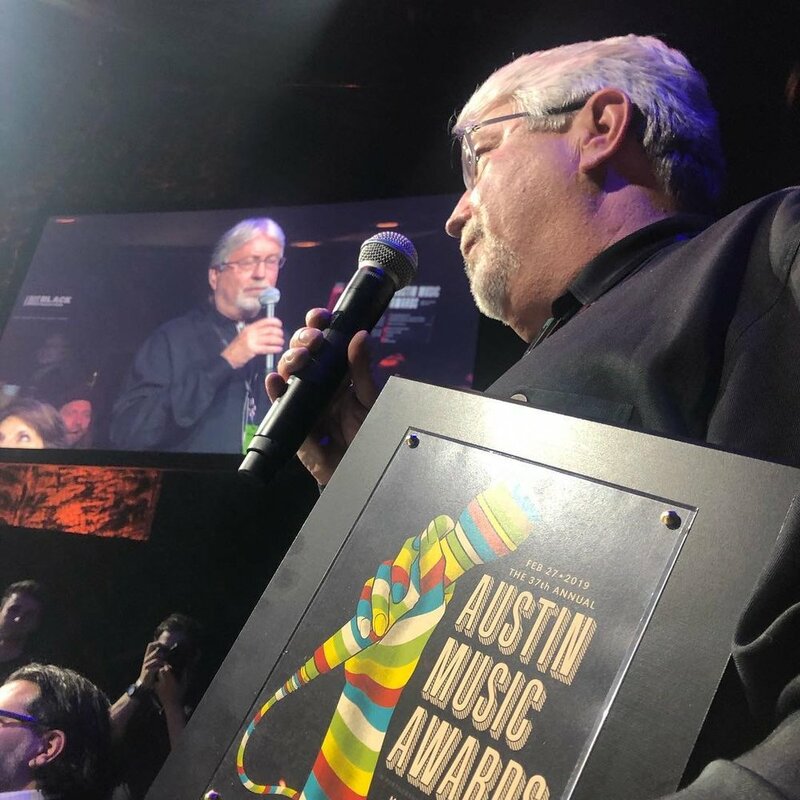 Ruthie's performance with Austin's award winning choral group, Conspirare, is now available for download and purchase. Click the picture above to purchase! A great shot from the road of Ruthie playing at the City Winery in Napa, CA recently! Ruthie Foster joins The Funky Meters in headlining the Crescent City Blues and BBQ Fest in New Orleans, LA. To read more about the festival click here. Possibly the best photo from Pontedvedra, Spain. It was so beautiful! Ruthie was awarded the 2015 Koko Taylor Award (Traditional Blues Female) at the 36th Blues Music Awards. The Blues Music Awards are universally known as the highest honor awarded to blues artists. Read more about the other winners here. Ruthie Nominated for Blues Music Award! More good news for Ruthie Foster! Ruthie has received a nomination for the Koko Taylor Award, honoring notable female blues artists, in the Blues Music Awards ceremony to be held May 7, 2014 in Memphis. Ruthie Foster's Song Featured on "Criminal Minds"
Tonight’s episode of the hit CBS show Criminal Minds will feature Ruthie’s version of “Lord, Remember Me” from her album “Let It Burn”! Be sure to tune in at 9pm EST/8pm CST and listen for the song! Ruthie's "Promise of a Brand New Day" Is Nominated for a Grammy Award! We are thrilled to announce that Ruthie’s album ‘Promise of a Brand New Day’ has been nominated for a Grammy Award in the Best Blues Album category! This is Ruthie’s third Grammy nomination in a row! Ruthie is Featured on Amazon's Playlist "All Is Bright"
Ruthie is proud to be a part of “All Is Bright”, an exclusive holiday playlist featuring 43 new songs by various artists presented by Amazon Music! Ruthie has included her rendition of “Amazing Grace”, click HERE to check it out! The Académie Charles-Cros in France has chosen to honor Ruthie’s album “Promise Of A Brand New Day” with the premier French award for musical recordings – its 2014 Grand Prix du Disque for Blues! The Académie Charles-Cros is an organization composed of 50 members specializing in music criticism, sound recording, and culture. Each year since 1948, the Académie has awarded prizes in the field of popular song, classical music, jazz, blues and other categories of recorded music. Past winners of the Blues award include Mavis Staples and Charles Bradley, so Ruthie is in great company! Thinking of my dear sistafriend today. Love and miss you Samantha Banks. My favorite street!! At Bluesfest!!! My walk this morning in Kingscliff, Australia! 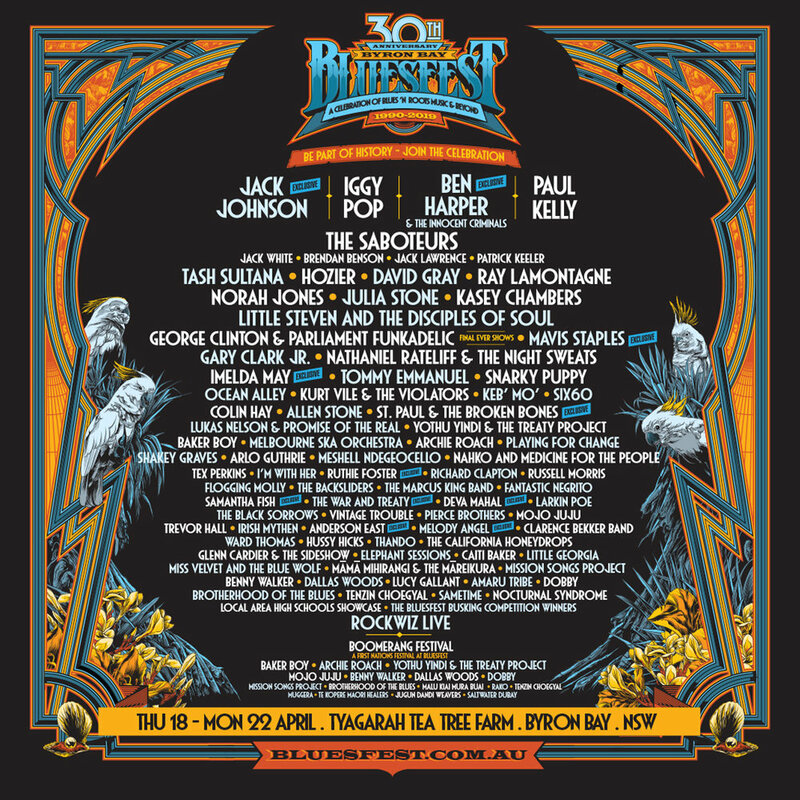 Byron Bay Blues fest here we come!! I love hometown shows but the Paramount Theatre has to be my favorite! A few tickets left for this special night with a BIG BAND!!! Wow, 1 million streams this year! Thanks to everyone out there that contributed. I love this little town and I love me some Hadden Sayers!